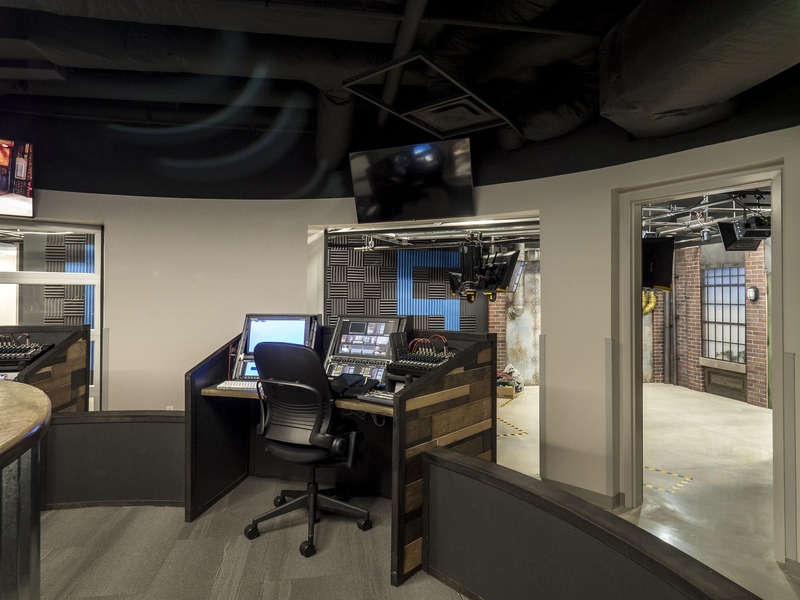 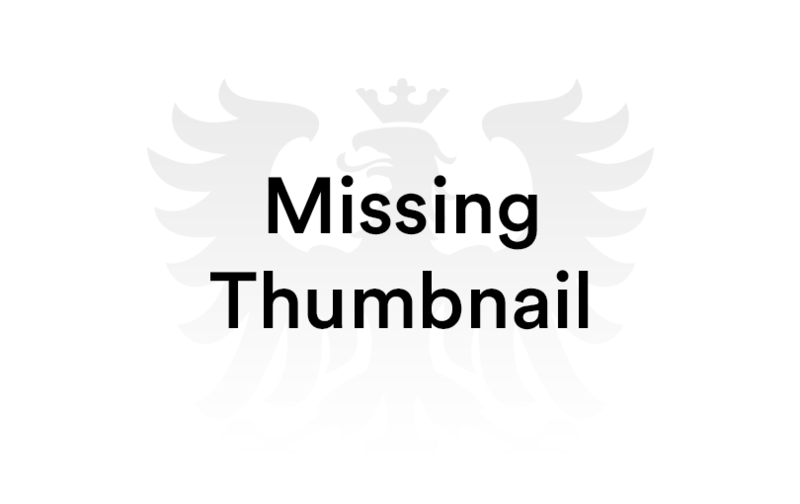 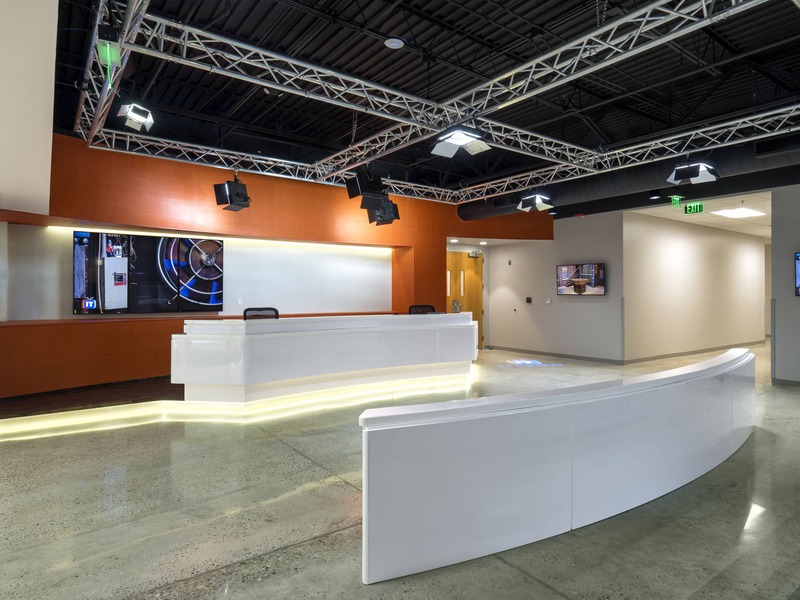 This project encompassed renovation of an existing office building for an online learning video production company. 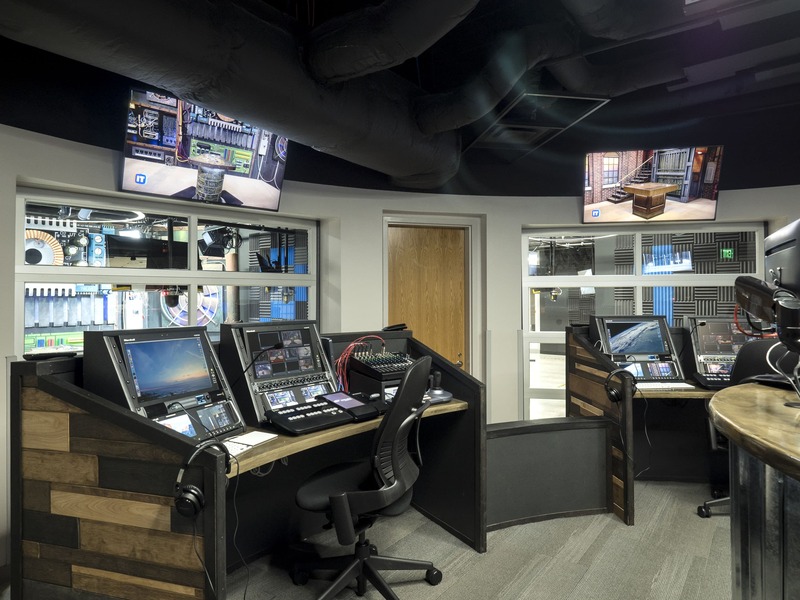 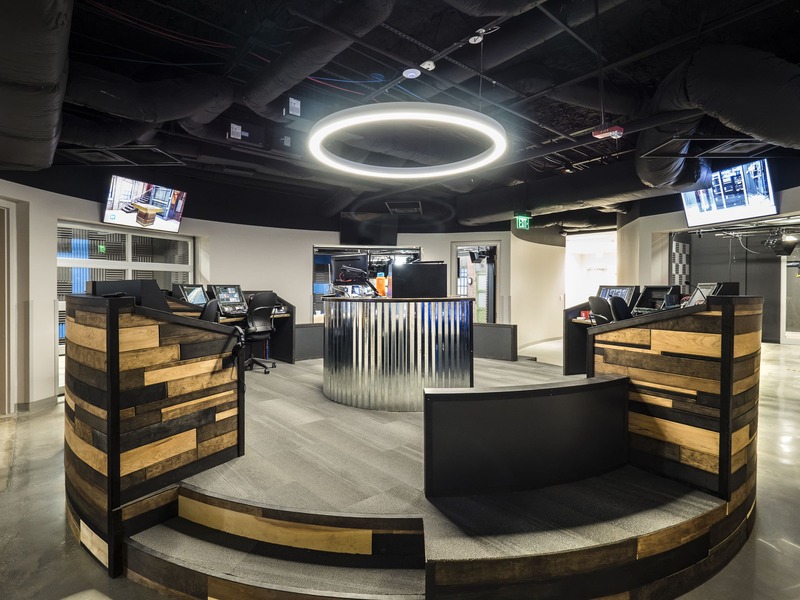 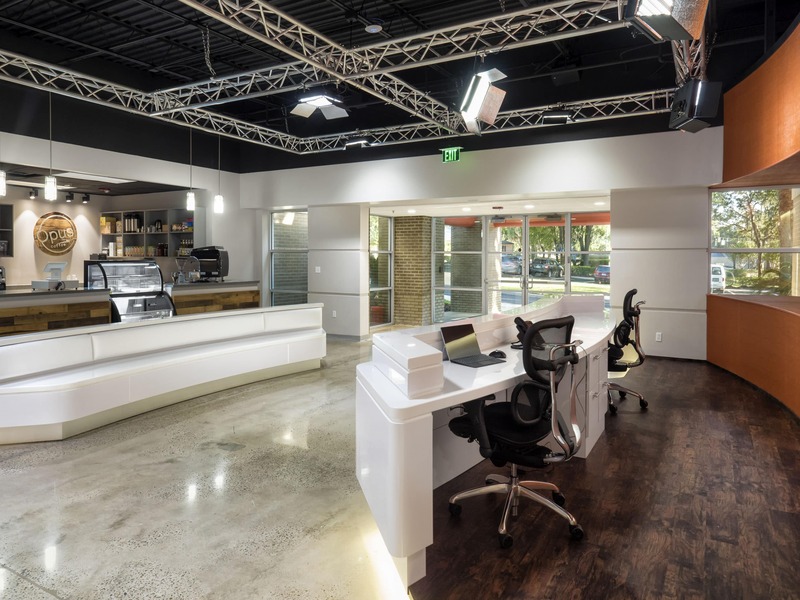 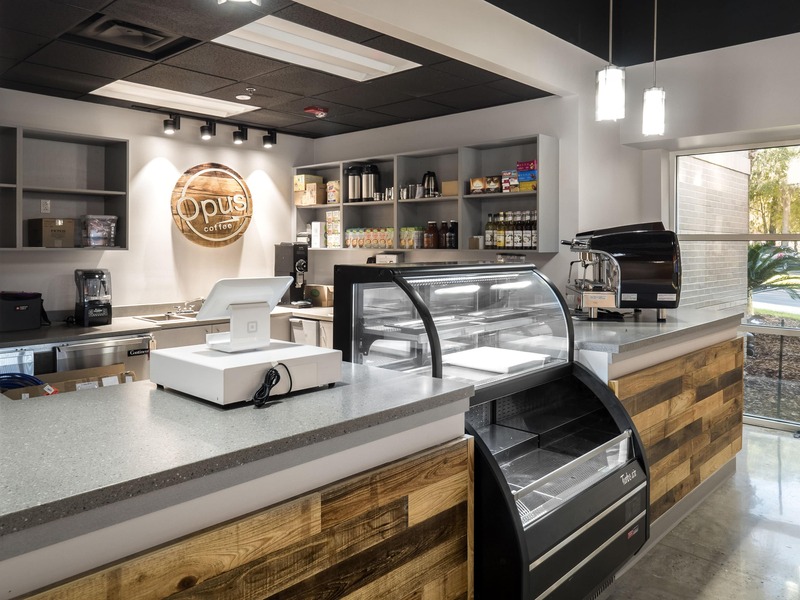 28,000 square feet of renovated space includes private offices and open office areas with glass partitions and daylighting, studio production spaces, and a reception/lounge area with an Opus Coffee kitchen, display case, and serving counter. 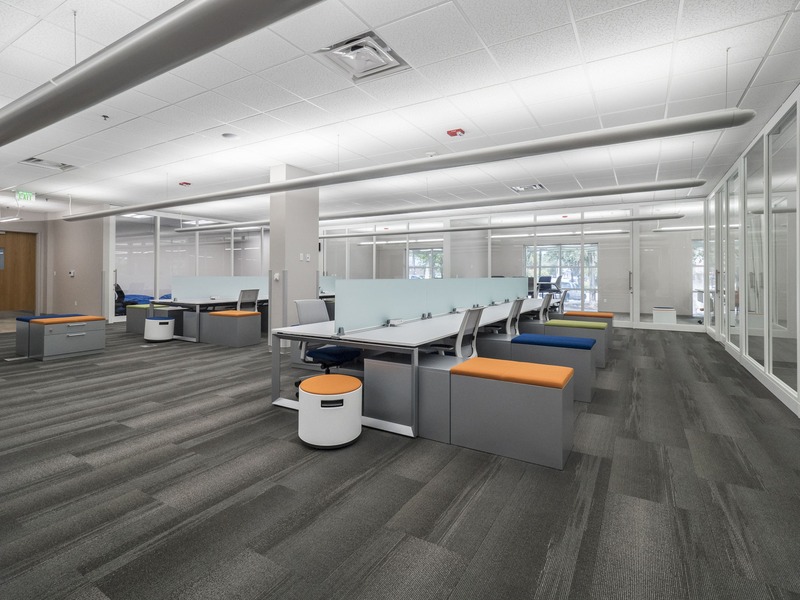 The renovation and expansion of the Reitz Student Union, built in 1967, expanded facilities, services, and programs supporting the University of Florida’s diverse campus community, increased energy efficiency, reduced operational costs, and greatly enhanced comfort and functionality. 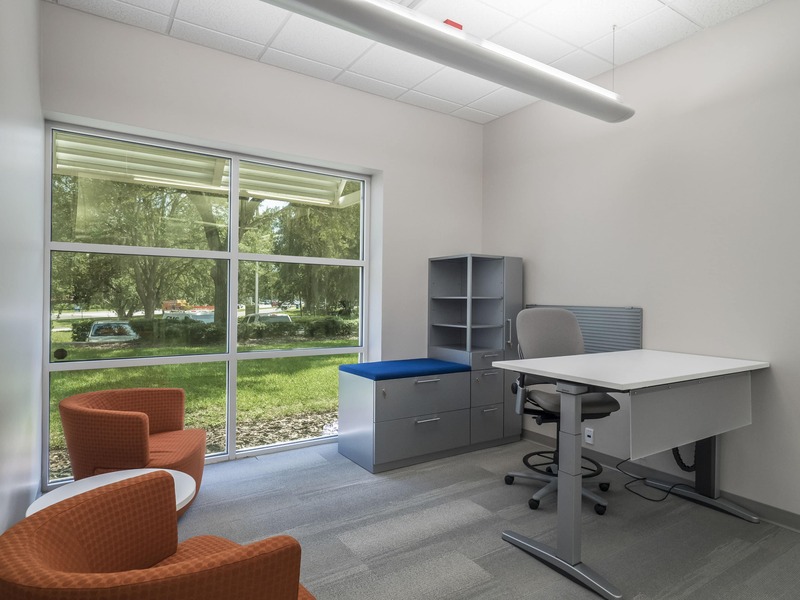 Phase 1, the 100,000 sf addition, included entry and food court renovations, meeting rooms, lounges, dance rehearsal studios, a ballroom, and offices and support space for the Center for Leadership and Service, the Department of Student Activities and Involvement, the Office of Multicultural and Diversity Affairs, GatorWell Health Promotion Services, and student clubs and organizations. 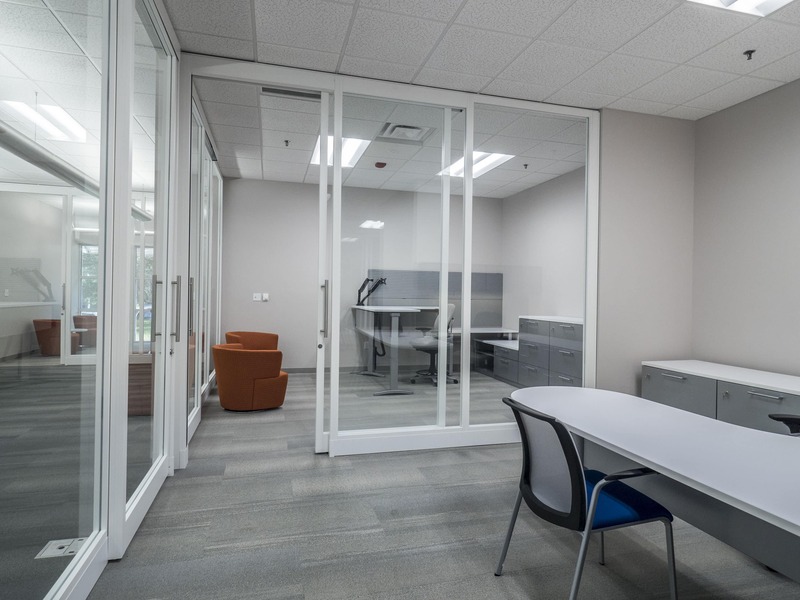 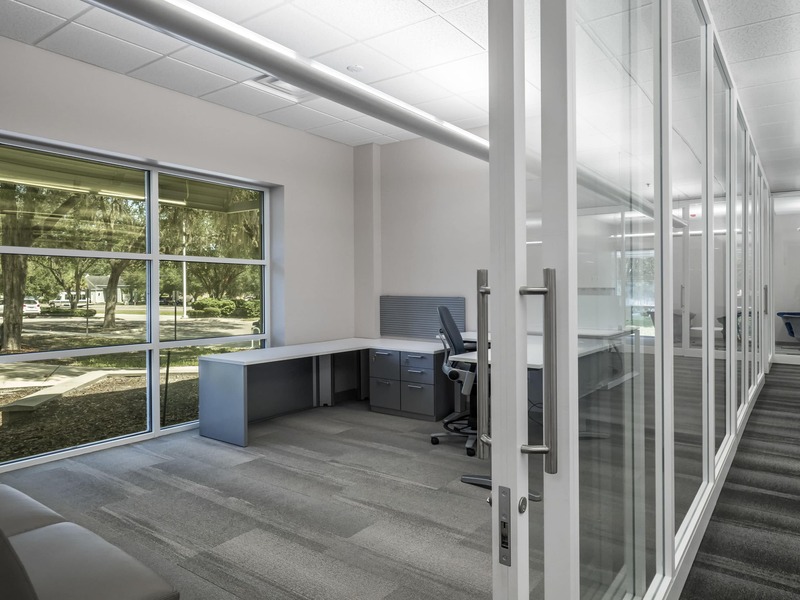 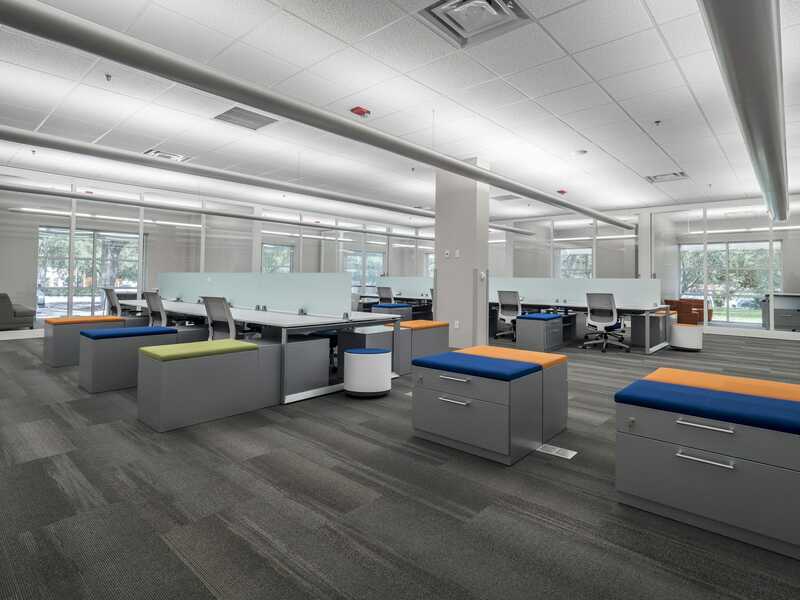 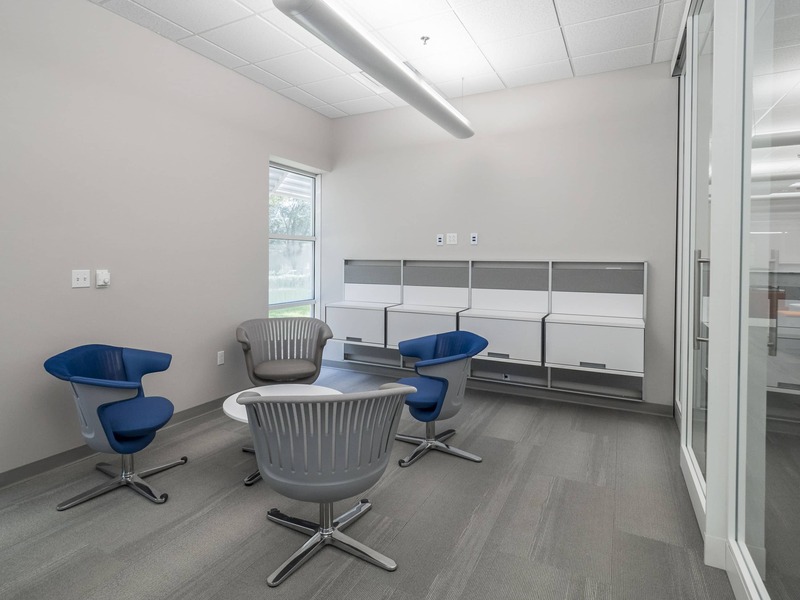 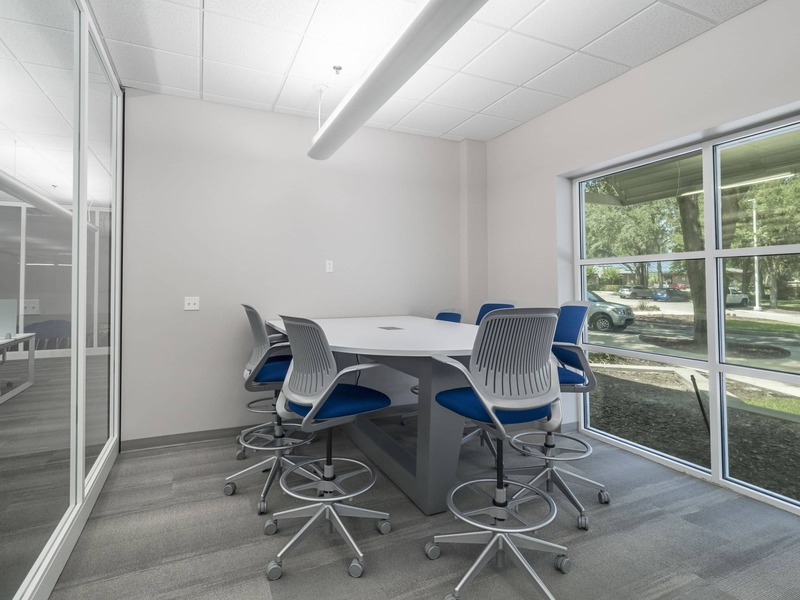 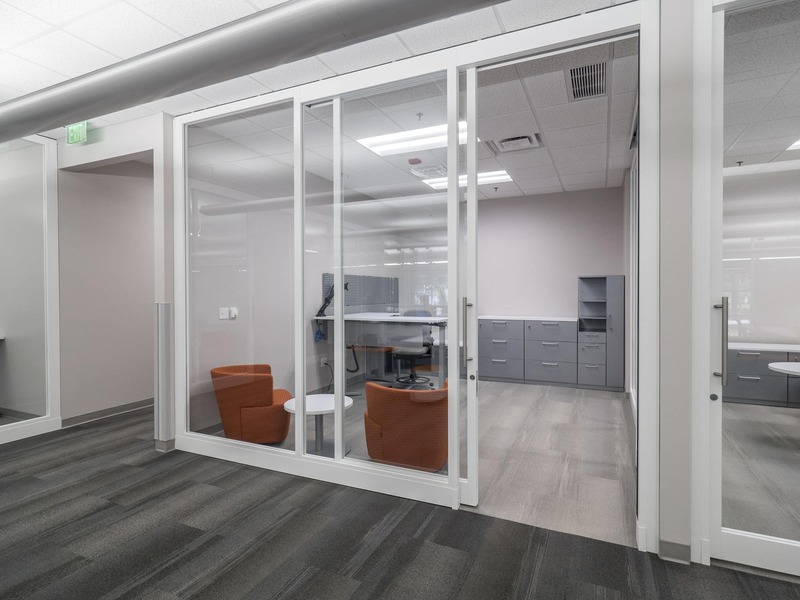 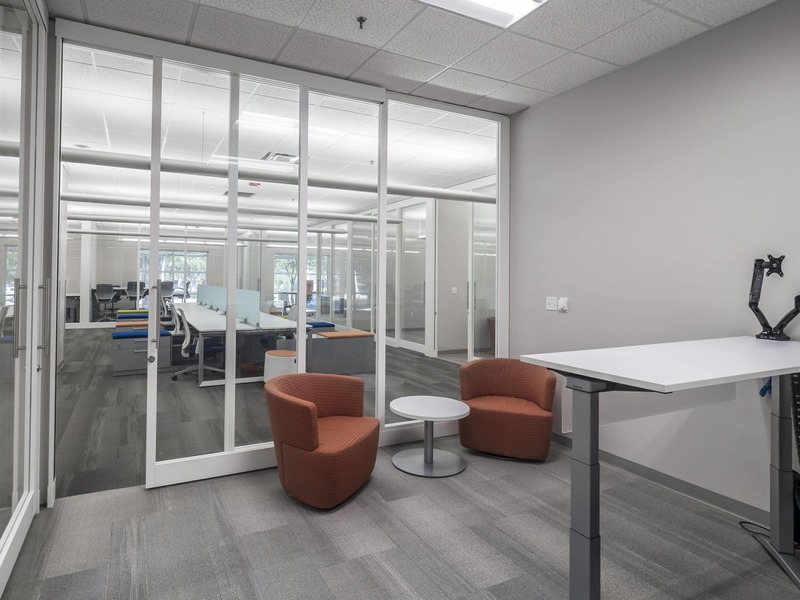 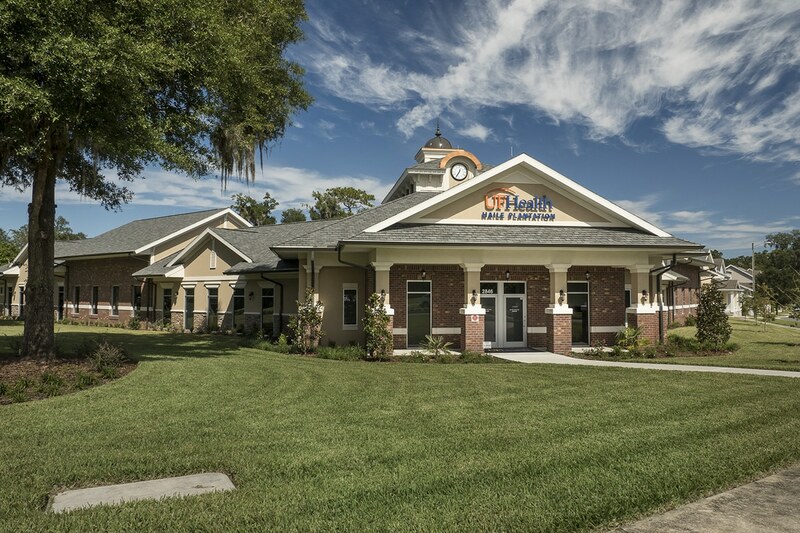 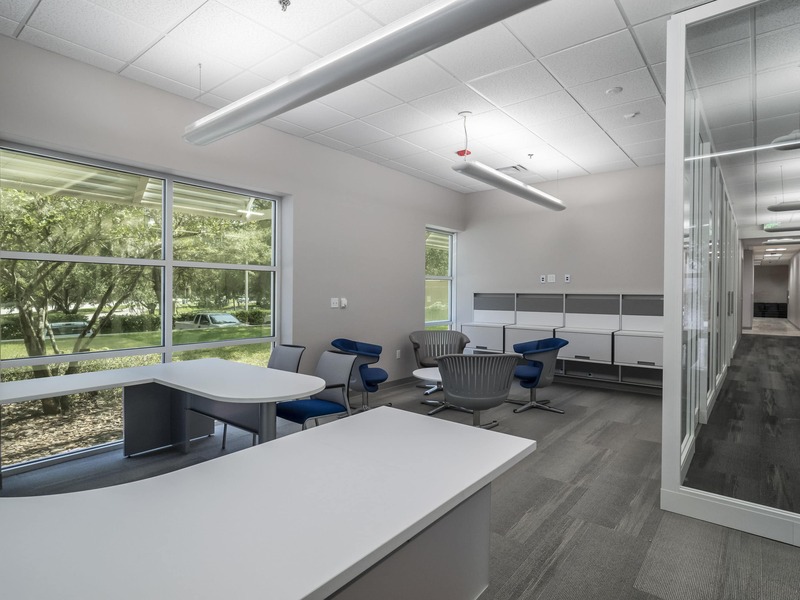 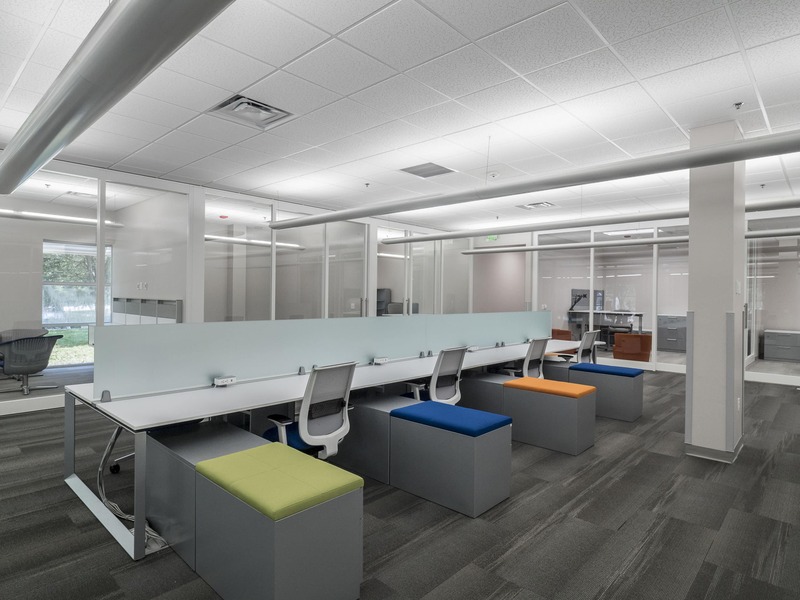 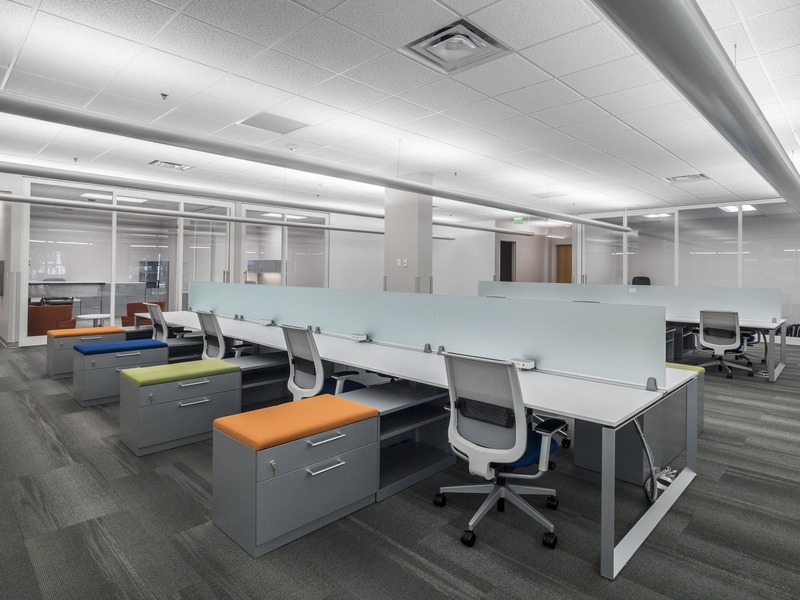 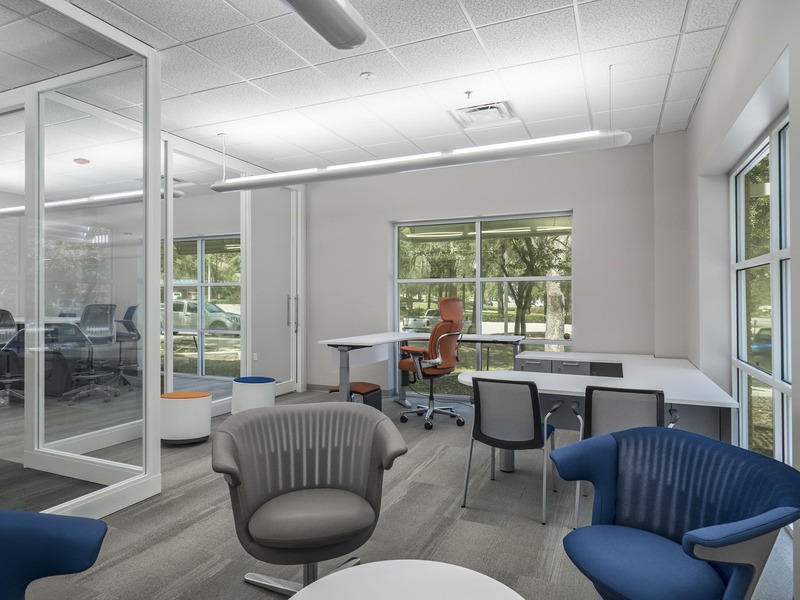 Phase 2, the 50,000 sf renovation, included new energy-efficient windows and doors, restoration of exterior surfaces and structural components, replacement and upgrades of electrical, plumbing, and HVAC systems, and upgrades to interior finishes and lighting. 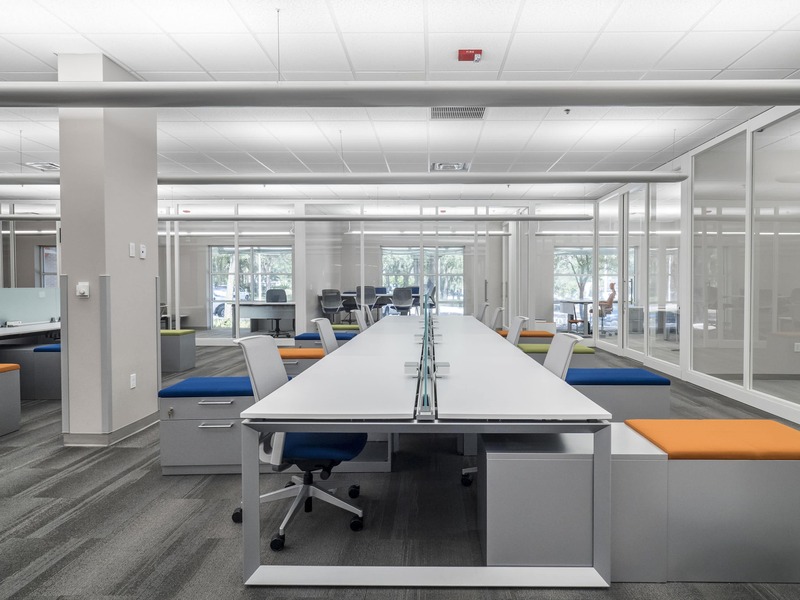 Careful phasing ensured that the Reitz continued to serve UF’s 50,000 students throughout construction.